Contrary to popular belief, no one has installed a chairlift to the top of Mt. Everest (elev. 29,035 ft.) in recent years. No matter how accessible people believe this mountain to be, Mount Everest still remains the highest mountain in the world and attempting to climb it is still one of the most dangerous of human pursuits. Since 1922, when a disastrous attempt was made by a British expedition, more than 11,000 people have challenged the mountain. As of June 2007 (the end of the climbing season), a grand total of 3,304 climbers had stood on the summit and lived to tell the tale. Sadly, 209 Mount Everest climbers have lost their lives. That means one death for every 15 successful ascents. A current passport is required, along with a tourist visa from the Embassy of Nepal in Washington, DC. There is a $45 TDS service fee and a $30 Consular fee. Travelers to Nepal should be up to date on all their routine immunizations. Visit your doctor 4 to 6 weeks prior to departure, ask about antimalarial medications, and discuss other recommended precautions. Insect borne diseases (mosquitoes, sand flies) are a concern in some areas of Nepal. These ticket prices apply to the Mount Everest season, early April to end of May. If you’re planning to climb the mountain as an independent climber, you’ll be taking a tremendous amount of gear, so be prepared to pay extra for that. Surprisingly, 2 out of 3 climbers on Mount Everest are not part of a commercially-guided trip. Many privately-funded trips have government sponsors, or are funded by scientific organizations. Some trips have been formed with the express purpose of making a movie. But a lot of private trips are planned in the living rooms of seasoned high-altitude climbers with their eyes on the prize. For those hearty individuals, costs vary wildly, and sometimes with disastrous results. You can approach Mount Everest from the southern, Nepalese side, or from the northern, Tibetan (Chinese) side. Climbing permits issued in China cost around $4,000 and include many support services to Advanced Base Camp. Permits issued in Nepal cost $10,000 and don’t include services at all. However, the northern routes are longer, more dangerous, and much more technical than the southern routes. Your likelihood of summiting from the north is lower and your likelihood of dying on a northern route is higher. 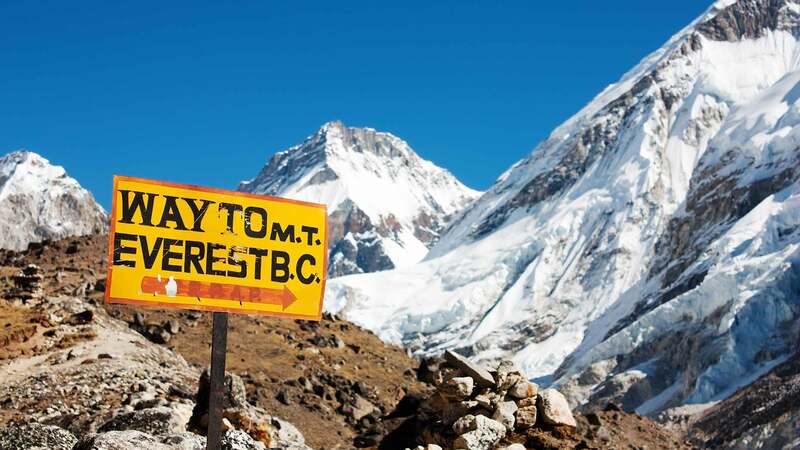 In 2006, a British climber paid a budget, Kathmandu-based trekking company $7,490 to arrange for a climbing permit, food, and minimal services to Base Camp on the north, Tibetan side of the mountain. He climbed alone, without the aid of a Sherpa or guide, and bought only two bottles of oxygen rather than the usual five. He also chose not to rent an emergency radio. No one knows exactly what happened during his climb, but his almost lifeless body was found by a succession of descending climbers, who tried but were unable to revive or rescue him. Tragically, his death on the Northeast Ridge was only one of eleven deaths on Mount Everest in 2006, making it the second most deadly spring season on record. Climbing permits and fees – prorated per person, $25,000 for 1 person;$56,000 for 4 people; $70,000 for 7 people, etc. There’s lots more gear to buy, but you get the idea. Most likely, however, you’ll already own most of this gear because there’s no way you can even think about climbing Mount Everest if you’re not already a seasoned high altitude climber. Many commercial guide companies actually require that you either take their specialized high altitude, pre-Everest training course, or sign on for another of their 8,000-meter guided climbs. If you feel that you’re already competent, be prepared to produce a verifiable resume of your own successful high altitude climbs. Some people have said that climbing Mount Everest is more of a lifestyle than a goal. The best way to physically prepare for Mount Everest is to live, climb, and train at altitude. You may consider moving to the Rockies or the Sierras a few months prior to your climb. Definitely take time off to do training climbs. Aconcagua in Argentina, or Denali in Alaska are two good choices. Even better are Cho Oyu in Nepal or Shishapangma in Tibet – two of the easier 8000 meter peaks that would help you condition your body to the demands that Mount Everest will exact. Finally, you have to prepare yourself mentally for the challenge. From beginning to end, your Mount Everest adventure will probably run about 68 days. Seven weeks of that (approximately) will be spent on the mountain itself, but only 21 days or so will be spent actively climbing. The rest will be days spent acclimatizing, resting, waiting out bad weather, building up your energy, and resting some more. You’ll need patience, a constantly positive attitude, and the ability to be the epitome of a team player. With luck, your conditioning, skill, and good judgment under stressful conditions will result in a positive expedition experience and a safe return home.